Come and learn hands-on skills by helping to prepare a traditional authentic Peruvian dinner. 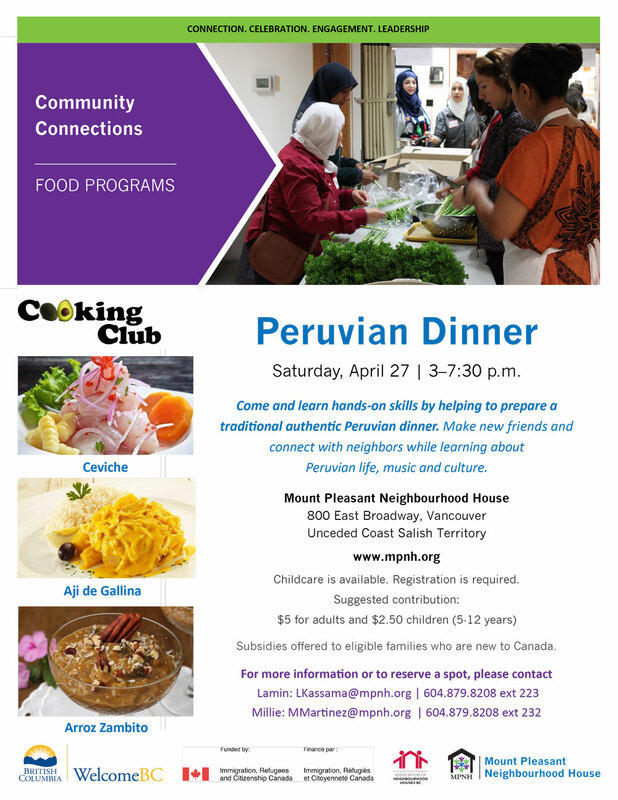 Make new friends and connect with neighbors while learning about Peruvian life, music and culture. Childcare is available. Registration is required. Subsidies offered to eligible families who are new to Canada.